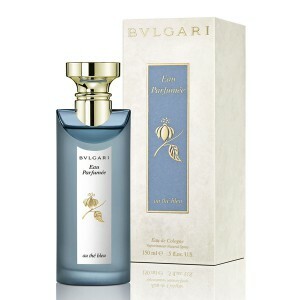 Bvlgari Eau Parfumee Au The Bleu is like a vivifying floral infusion. Bvlgari Eau Parfumee Au The Bleu 75ml. Eau De Cologne is a hymn in honor of a unique elite tea that can awaken a sense of peace and absolute tranquility. "Blue" Oolong tea became an inspiration for Danielle Andrier, creator of this unisex perfume, released in 2015. A soft, comfortable scent replenishes cravings for serene rest with a cup of fragrant drink. The composition is revealed by a mint-lavender chord, smoothly flowing into a saturated heart, where tea notes with fine bitterness of violet reign prevail. A train of musk and iris duet completes the sound of a cozy scent. Tranquility and negativity will accompany the owners of Bvlgari Eau Parfumee au The Bleu, which recalls the sky, the sea and crystal clear air. Eau Parfumee au The Bleu from Bvlgary is presented within the collection, the unofficial name of which appears in some sources as "tea". The line has united the following editions: Eau Parfumee au The Vert, Eau Parfumee au The Blanc, Eau Parfumee au The Rouge, each of which is devoted to a certain aspect of the tea theme. An interesting fact: designers are so confident in the success of fragrances from this collection that they are preparing for the release of variants of bottles with a volume of 350 milliliters. It is very roomy and uncharacteristic for modern luxury fragrances. Perfume Eau Parfumee au The Bleu is based on the note of Oolong tea (it is also called the Chinese Fujian tea). In Russian transliteration, this type of tea is called "oolong tea," or turquoise tea. Experts believe that it is the oolong - the transition "phase" Between tea green and black (which in eastern tradition is called red), that is, it preserves the properties of both types. Oolong note is supported by shades of blue tea, iris flower and aromatic lavender chord. The author of this composition is perfumer Daniela Andrier. To design the bottle, the shades of blue were chosen. The bottle designer is Thierry de Baschmakoff, who has been cooperating with Bvlgary for many years.